No one likes to get out of their car in windy, rainy weather or in the middle of the night, just to open the garage door. With the large range of garage door operators we supply, you can open the garage door/gate quickly, conveniently and safely from your car using a hand transmitter. All our motors come with x2 remotes as standard. You can purchase more or buy something different like coloured remotes, vehicle cigarette lighter remotes or key ring remotes. You car keyring will certainly look great with a unique Carbon fibre hand transmitter on it. 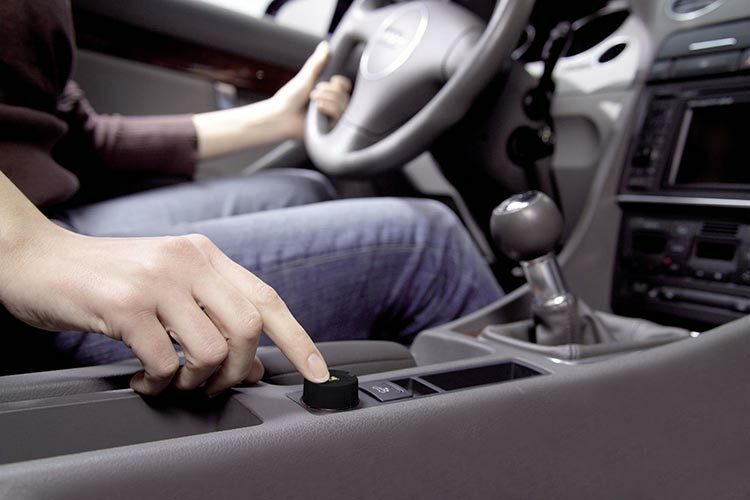 You'll never need to look for your remote again... with it placed in the cigarette-lighter making it ideally discreet. Simple to use and an option if you don't want to carry a keyring remote.